Judith Downing has a background in Spanish, French, and Foreign Language Education. She has been teaching at Rutgers-Camden since 2005. She teaches Elementary and Intermediate level Spanish courses as well as Intermediate level French courses. In addition, she acts as an academic advisor for the Foreign Language Department and serves as Coordinator of the Elementary Spanish program. As Coordinator of the Elementary Spanish Program, she serves as an advisor to part time instructors, introducing them to the program and materials and providing them with guidance and support throughout the semester. 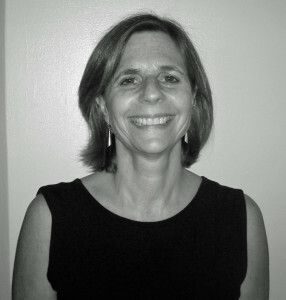 In this advisory capacity, she observes classes and provides feedback to the instructors regarding teaching techniques and classroom management. She is also responsible for textbook selection. She works with full time professors on course design and test development to ensure that teaching materials and evaluation tools are appropriate to program objectives. She is also active in advising students and directing them to the proper placement. Primary among her goals as a language instructor is to give students the ability and desire to interact and communicate with native speakers, even after only one or two semesters of study. Her studies and travels have taken her to Spain, Argentina, Mexico, France, Belgium, and Canada, among other countries. Page last updated by World Languages and Cultures at 11:28 am February 10, 2017 . This page was printed from http://foreignlanguages.camden.rutgers.edu/faculty/judith-downing/ at 12:53 AM Monday, April 22, 2019.